Open yourself up to improved career opportunities with this Advanced Diploma of Financial Planning (FNS60415), based on up to the minute industry knowledge. Using case studies and workplace examples, this peer-reviewed course provides you with a greater understanding of financial planning strategies and how to cater for the needs of your clients. Upon completion, you will be able to provide professional advice on a range of financial planning products, and provide excellent service, tailored to suit a whole range of personal scenarios and requirements. 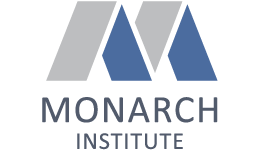 Upon successful completion of this course you will receive a nationally recognised, accredited Advanced Diploma of Financial Planning (FNS60415) from Monarch Institute.